Beautiful sweater my husband loved it. 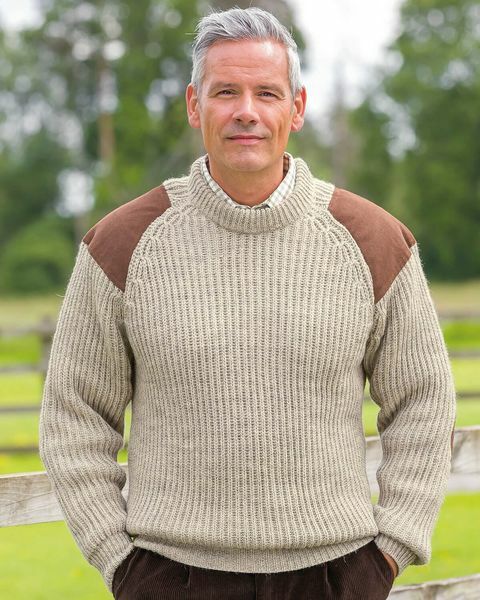 Mens chunky knit traditional crew neck style ribbed sweater is great for keeping warm on cold evenings. The Raglan sleeve with co-ordinating suede shoulder and elbow patches are practical as well as smart. "Beautiful sweater my husband loved it. "